1). Tell us about the first yoga class you took. I was in college and signed up for a yoga class through our student intramural program. I wanted to try something new and never expected the practice to become a lifelong passion. I remember feeling awkward and struggled through a lot of the postures. Some of the postures just felt so uncomfortable. What hooked me was the savasana. I’ll never forget how relaxed I felt and I almost didn’t get up! 2). What do you remember of the first yoga class you taught? It was so scary! We had to teach to peers in our training program and I wanted everything to be perfect. I remember planning the class and struggling to figure out how to build something to accommodate a diversity of bodies, abilities and preferences. During my training I learned there are so many reasons people do yoga- for strength, relaxation, socialization, building confidence or to lose weight to name a few. How could I possibly impress everyone? The best part was building my playlist and playing DJ. When the moment came to teach, I was so nervous and it took me about halfway through class before I found my voice and felt comfortable. In the end, it was a huge rush and like most things, I impressed myself for taking a risk and trying something I didn’t think I was qualified for or capable of doing. 3). Who/what are your teachers? Why? As a seasonal outdoor educator and traveler for the past ten years I have moved around a lot or lived in isolated places far away from a traditional yoga studio. Thus I never had a consistent teacher outside of DVDs and online trainings. I have visited many studios in my travels, trying different styles and teachers and spent a lot of time practicing on my own. I am inspired by the outdoors and I suppose the natural world plays a large role in my practice (I am always willing to practice outside)! However, my favorite teachers are Shiva Rea and Stephanie Snyder. Shiva’s classes always felt like a dance and I loved her movements. Stephanie’s classes are heart-centered, rigorous and dedicated to building strength which has improved my abilities as an outdoor athlete. Additionally, Troy McPeak of Peak Beings has been a huge inspiration and teacher of mine. He is one of the most compassionate, thoughtful and non-judgemental people I know and my style is highly rooted in his teachings. 4). In what ways has yoga supported or impacted your life? Yoga has been the center for my spiritual growth, emotional health and physical wellbeing. What started as a means for physical health and stretching turned out to be so much more. I remember while taking my yoga teacher training in Hawaii I was given the chance to try ecstatic dance. In the middle of the vibrant, dynamic and sweaty experience I started to cry. It had been so long since I had danced and was feeling empowered by the training. I was so happy that crying just felt like a huge release, like I was free. I walked out of the dance hall to journal and process my feelings. I had a few epiphanies that day but one was that I need to aim for joy every day of my life. Yoga has helped me do this and I try to live by this message every day, knowing that some days will ultimately be better than others. But we aim for joy either way. Just like we aim towards a forward fold, crow or into a headstand. It’s all a process. 5). What does your current yoga practice include? Why? After arriving to Tahoe Yoga Shala I have begun practicing Ashtanga yoga. 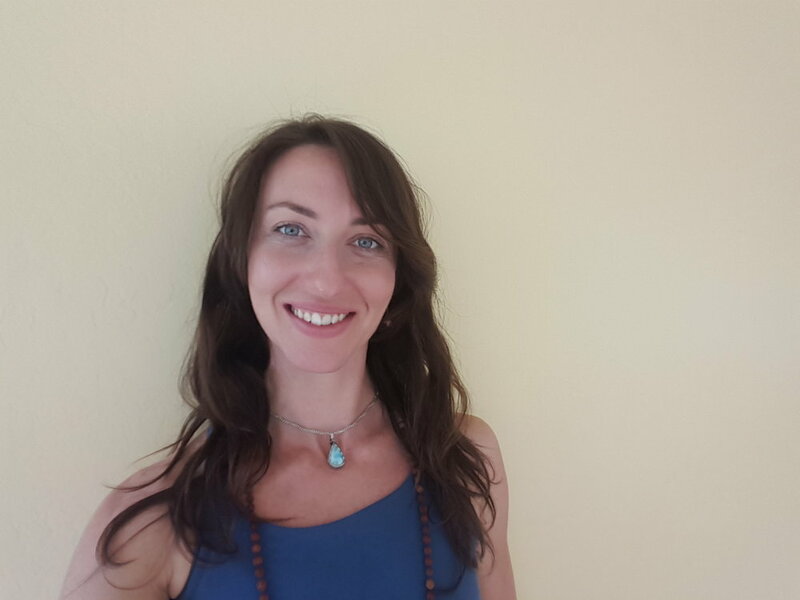 I am interested in incorporating more breath work, chanting and philosophy into my personal practice and am thrilled to be a part of the Shala’s Ashtanga community. Additionally, I consider teaching as a part of my practice, to share what has helped me in so many ways. I hope to inspire not only a larger yoga community but a healthy one that is rooted in both self-love and love for others. 6). What currently inspires you? To be completely honest, I am absolutely inspired by Tahoe. This place is special in so many ways and I can’t wait to spend more time playing in the mountains and finding little nooks to practice my yoga. I love the community and hope to inspire a devotion to spiritual growth, physical and emotional wellbeing for the people I meet and interact with, either through yoga or other vehicles for health. 7). What is your favorite season? Why? Mmmm, that is a hard one. I have always loved fall. Growing up in New England, I looked forward to cooler temperatures, fall colors, football season, the start of the school year and falling into a new routine. I was a nerd and loved organizing my new school supplies and being a student. I have yet to experience summer and fall in Tahoe so I suppose I will find out! 8). What secret helps you to maintain balance and stay healthy? I think it’s important to understand what makes you happy. Sometimes being happy means practicing yoga, eating healthy and getting plenty of sleep while other days it might be letting loose at a party or dancing to live music with a cold IPA! Other days it might be going on a solo outdoor adventure or visiting with a friend and engaging in conversation. You are the only person who understands your physical, spiritual and mental wellbeing and you can’t allow the pressures or judgements of society to interfere with following what makes you happy. Don’t feel bad about your needs and pay attention to how certain activities, people or things make you feel. That is what I believe yoga teaches us. It teaches us to pay attention to ourselves on multiple levels and to love ourselves without judgement. If you can integrate what makes you happy into your lifestyle, focus on things that also make you feel good and try not to follow somebody else’s rules, I think you have found your balance. 9). A fun fact most people don’t know about you? I am a huge science nerd and nothing makes me happier than when I get to talk about forest ecology, astronomy or wildflowers to somebody willing to listen. 10). What do you want to share with the Shala community? I am so grateful to be welcomed into this incredible community and hope together we can maintain and grow our compassionate, healthy, inviting and heart-centered group. Namaste.